“The suburb of Agbogbloshie in Ghana’s capital, Accra, has in recent years become a dumping ground for computers and electronic waste from Europe and the US. 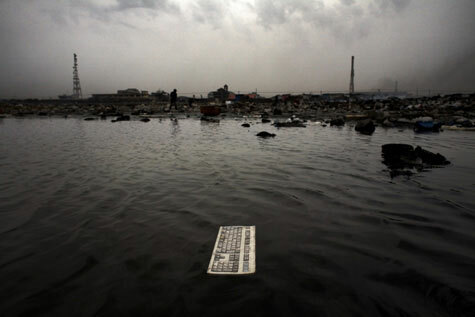 Hundreds of tons of e-waste end up here every month as countries in the West attempt to unload their ever increasing stockpiles of toxic junk. Of the 20 to 50 million tons of electronics discarded each year 70% will end up in poor nations, and in the EU alone 6.6 million tons of e-waste are unaccounted for every year. 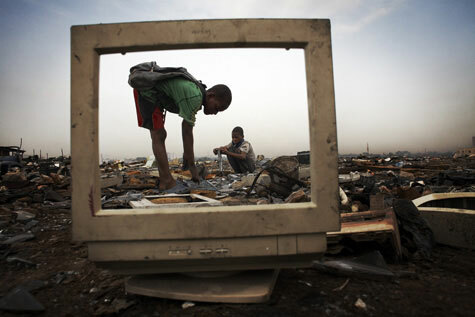 Increasingly this e-waste is findeng it’s way to West Africa and countries like Ghana, Nigeria and Ivory Coast. Traders bypass international laws by labeling the equipment as second-hand goods or charity donations, but, in reality as much as 80% of the computers sent to Ghana are broken or obsolete. their final resting place is Agbogbloshie dump where they are broken apart, mostly by children, to salvage the copper, hard drives and other components that can be sold on. 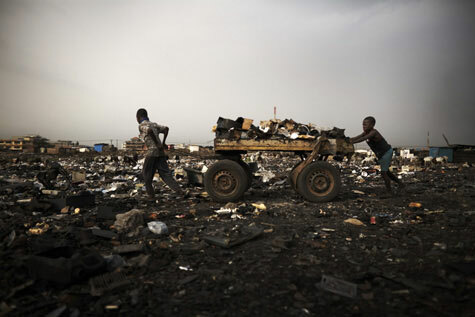 The disposal of electronic goods in the West is a costly affair and must be done in an environmentally responsible manner, however in places like Ghana there are no such regulations and as such toxic metals like lead, beryllium, cadmium and mercury are continiously being released causing untold damage to human health and the environment”.